This beautiful crop top was handmade in Oaxaca, Mexico by backstrap loom weaving. At the bottom of the top it has a crochet finish on one side and tassels on the other side to give it a lovely finish. 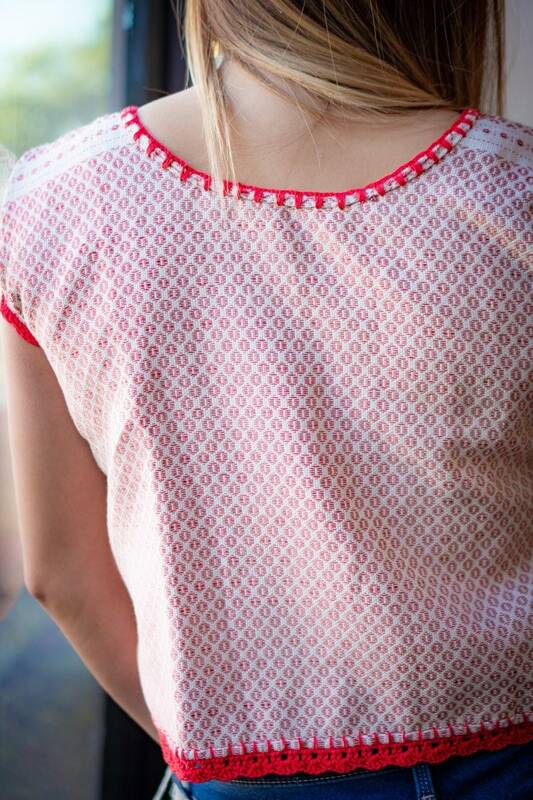 This top is perfect for the spring or summer with jeans, shorts or a maxi skirt!